Double Fine boss Tim Schafer says a lack of "financial reward" is the reason publishers don't bring his games to the PC and they, not he, are the ones who ultimately decide what platforms to support. I was all set to buy BrÃ¼tal Legend when it came out last year. Then I found out that a PC version wasn't in the works and that was the end of that. Same deal with Stacking, the new game coming to the PlayStation Network and Xbox Live Arcade sometime next year. It makes me wonder: What's the deal, Tim? Don't you love Team Keyboard anymore? 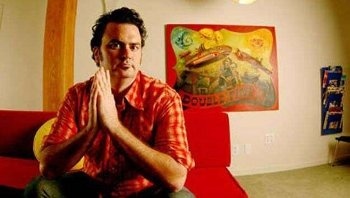 "As a developer we do not have final say in the SKU plan for our games," Schafer explained on the Double Fine website. "That is the decision of the person investing the money, i.e. the publisher. We have much of the technology in place to produce PC versions of all these games, but there is still some more work required to make them shippable and that costs money. So far, our publishers have not elected to fund that work. Not because they hate PC gamers, but because they don't see enough financial reward." "Double Fine does care about PC Gamers, and we always push for a PC version, and will continue to do so in the future," he continued. "If we ever get super stinking rich here, with enough money to fund PC versions of our games, then we will go back and make them ourselves! Oh man, wouldn't that be cool?" He had a word of advice for die-hard fanboys who constantly pester him about the PC on Twitter, Facebook and the comments section on the Double Fine site, however: knock it off. "Every time that happens it makes my eye twitch and I take a dollar out of the 'PC Port Fund' jar," he said.